Around 10 years ago, a puppy tore up the cover of an old book belonging to Anna Troupe. Trying to salvage the cover, Troupe meticulously attempted to piece it back together. That process eventually inspired her to make collage artwork, which evolved from a hobby into a profession. Troupe’s work is now featured in an exhibit at Perch Studios, at 204 W. Main St. in Carrboro. “It was quite a while before I felt willing to show my artwork and try to sell it,” Troupe said. “I feel like I am still developing what I do with collage and am excited to see where it goes. Perch Studios is a co-working space — one people rent out together and share. “(The space) is for anyone who needs a place to work for any reason — because the café is too noisy or their home is too distracting or their office is too far away,” said Vinci Daro, who is in charge of the space. Perch Studios also contains an acupuncture studio run by Kim Calandra, who offers sessions two times per week and said she is trying to make acupuncture more affordable. “Everybody who sits for work has some kind of ailment so it’s very complementary to the space,” Daro said. Daro said Tim Peck, a Carrboro contractor and plumber, has owned the space since 2006. 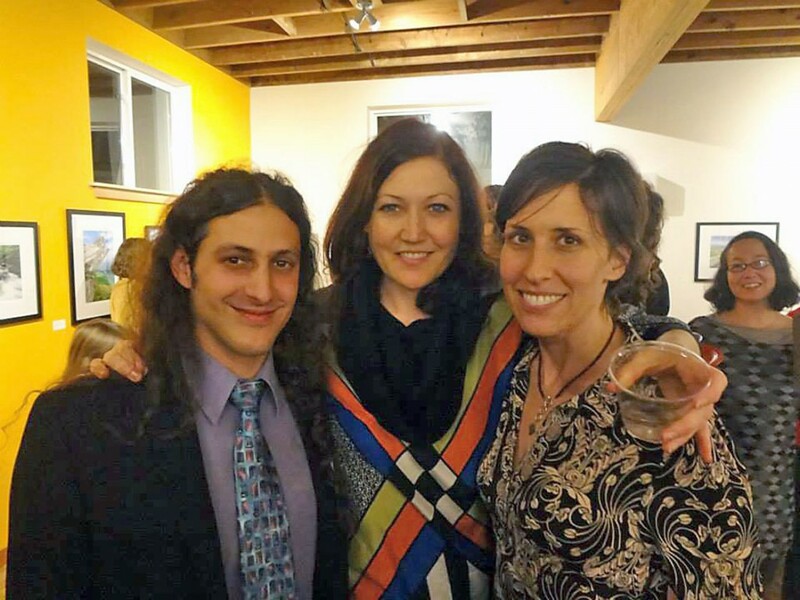 Perch Studios hosts an open house or art exhibit that opens once each month in conjunction with the 2nd Friday Art Walk. Before Perch Studios became a co-working space in August 2013, it housed the studio of artist Jennifer Padilla. Padilla continues to work out of a studio there. Stone said the Carrboro cooperative on West Weaver Street provides a similar space to Perch Studios for co-working. Daro said the people who use Perch Studios come from a variety of professions. There’s a biographer, a health care software developer, a comic book developer and a civil engineer. Daro works in math education and said she also uses the space. Lindsey Alexander, a former editor at HarperCollins Publishers who now works as a contract editor and writer, said Perch Studios has different tiers of memberships. She works at the common table, which is $100 per month. 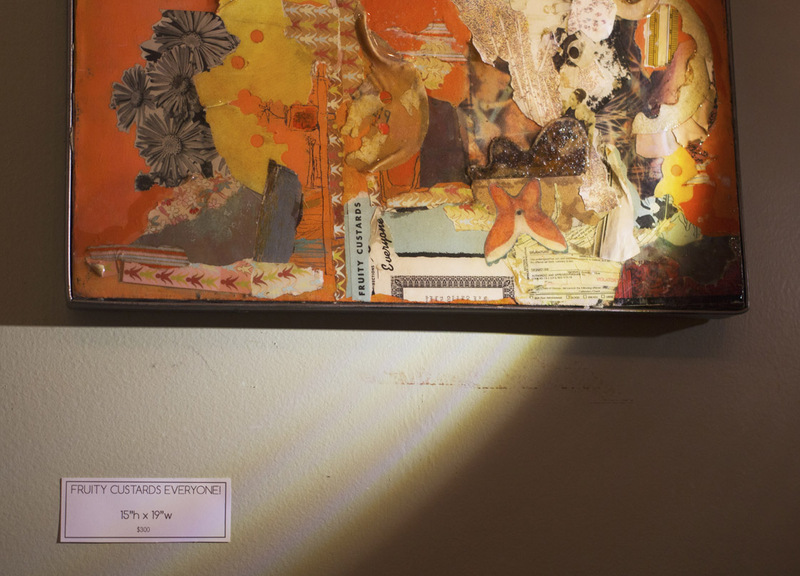 Troupe’s exhibit opened on Jan. 10 and will be up for the rest of February, giving members of the community and the co-working space a chance to come view her collages. She said the inspiration for her work comes from a variety of places, just like the materials. Troupe, a graduate student at N.C. State’s College of Textiles, says she is starting to incorporate her collages into fabric and product design. “All these remnants endear themselves to me for their unique beauty, they feel like gifts when I discover them honestly, and then it makes me happy to try to utilize that beauty in a work of art,” Troupe said.